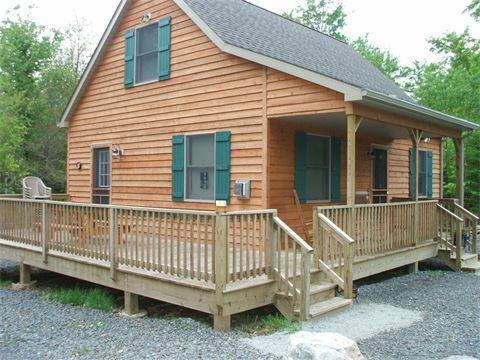 Fully-furnished two-story cabin on 3 wooded acres. Sleeps 8. Fully equipped kitchen, bathroom, wrap-around deck. Linens provided. ATVs welcome. Daily, weekly rentals. Very peaceful.